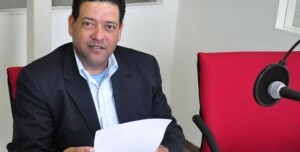 WILLEMSTAD - Alex Rosaria, political leader of coalition party PAIS, contradicts stories which were published in the local media that he would have sought a member of the opposition to help her financially in exchange for her support to the coalition. The PAIS MP stated that this is pure nonsense. According to the publications in at least two morning newspapers, Rosaria was ‘fishing’ in the opposition to get the member of parliament for MFK (Gerrit Schotte’s party), Jacintha Scoop-Constancia to join the coalition. The various papers mention documents which show that the MP has financially assisted the member of the opposition, but in a reaction, Rosaria denies all these allegations. "This is nonsense. This really does not make sense. I haven’t had contact with this person for a long time. I do not know where these stories come from, but the fact is that they are not based on the truth. If one argues that these documents exist than they will have to prove this. I would really appreciate this. I request of them to release these documents so we can see them,” Rosaria said. Scoop-Constancia, former Minister of Health and Environment, recently announced after this period as a Member of Parliament, it’s her intention to withdraw from active politics. She indicated that she will not step out of the MFK faction to continue as an independent MP.